A feelgood rush of urgency and raw indie rock energy, The Pressure Kids’ self-titled EP turns young angst and coming-of-age experiences into an exciting and instantly memorable debut. Any darkness that comes our way will surely be a gift to commemorate our stay. Nashville’s The Pressure Kids called their debut EP the band’s “mission statement” upon its release, and what a statement it is: A feelgood rush of urgency and raw indie rock energy, The Pressure Kids turns young angst and coming-of-age experiences into an exciting and instantly memorable debut. 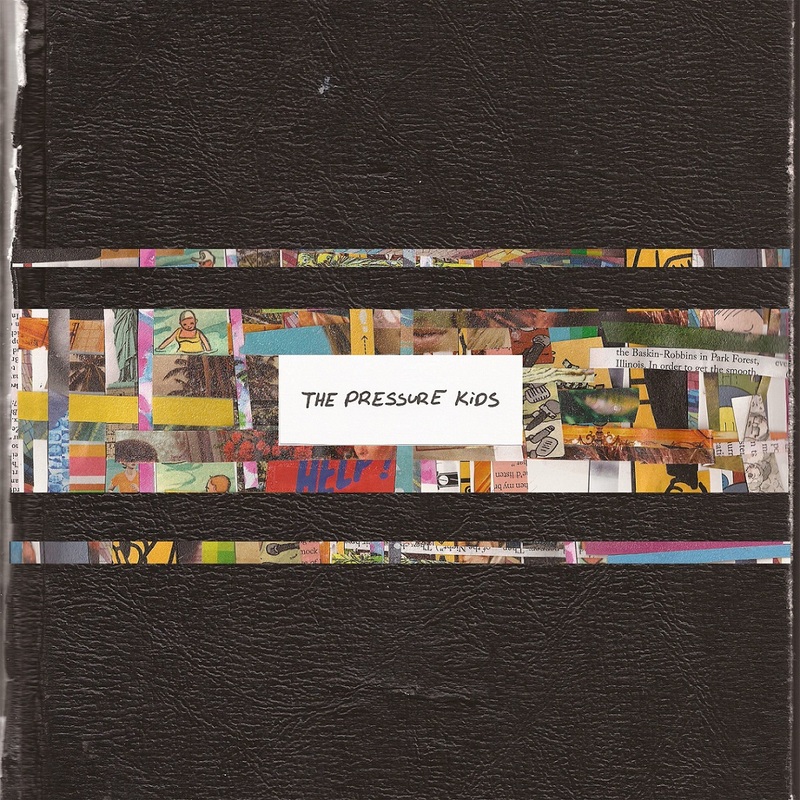 Independently released March 22, 2019, The Pressure Kids serves as a six-track introduction to a band as confident in their style and approach as they are open to experience and new sounds. Forming as college freshmen in fall 2013, The Pressure Kids have weathered trials and plenty of changes in the past six years, pushing past every obstacle in their way to make it to this special moment. The quintet of Nick Johnston, Allan Cuva, Katy Carmichael, Justin Bavier, and Zach Bodman are their own chosen family, sharing a deep bond that radiates through their music. The Pressure Kids are ready for the world to hear their call. 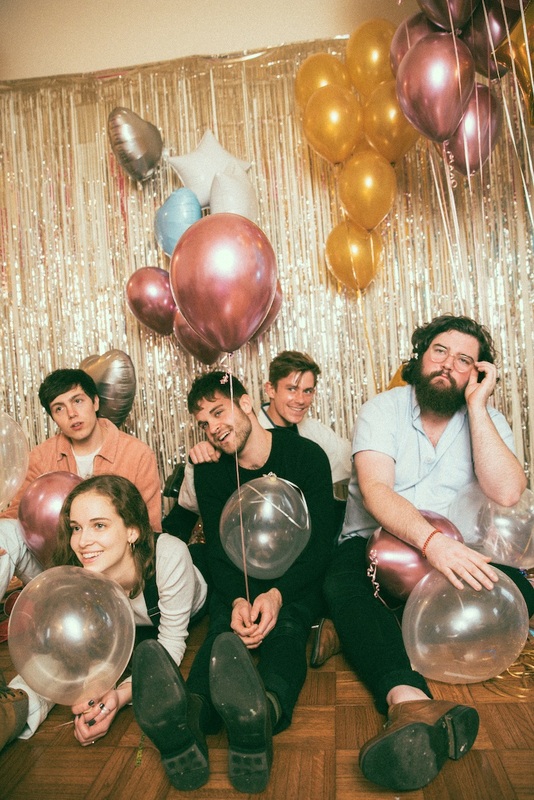 A rock band in the vein of Young the Giant and The Head and the Heart, they express themselves through driving guitar riffs and expressive licks, intimate imagery, and rich harmonies full of gusto. Their music captures moments of camaraderie and togetherness, anxiety and tension, perseverance and celebration. It’s at once exactly what you would expect to hear from a group of twenty-somethings, as well as a fully refreshing indulgence of emotion that has, for some reason, been lacking in our lives. Opener “Team” immediately immerses the listener in The Pressure Kids’ world with its feverish beat and overall sense of longing. Nick Johnston’s vocals are weary, yet so very alive: He sings the lyrics like they’re begging to let loose from his lips; as though he’d break if he couldn’t get his message out at this very second. So begins The Pressure Kids’ spirited, invigorating adventure. What follows on the remaining five tracks are dazzling stories of success, failure, and the in-between — or what we call life. “And Another One” glows with charming warmth in the chorus’ reassurance that “it’s alright, it’s alright.” The heartfelt “Fever” breathes with a slower beat and a chance at restart and renewal. The “Untitled (Pick Me Up)” grooves with a charming joie de vivre as the band bask in their own communion. Meanwhile, the heavy-hitting “White Room” reminds us of why head-banging used to be not only incredibly fun, but also cathartic. By the time Katy Carmichael is singing the poetically gorgeous closer “Mint” – a lyrical highlight on a record potent with self-expression – we feel a sense of completion. The Pressure Kids mellow down from the intense desire that pushes “Team” forward, replacing it with equally vivid feelings of relief, need, and satisfaction. “It’s been a long time comin,” Carmichael howls, her voice sinking into the background as waves of guitars slowly wash her out. The music then fades, and in that hazy reverie we’re given a parting gift: Starting quietly and in unison, Carmichael and Johnston repeat the phrase, “You could hollow out or stick around,” until it’s a roaring tempest – thunderous and booming. Together with their audience, The Pressure Kids ride that exultant feeling back to a whisper, so ending a journey we’re immediately ready for once again. The Pressure Kids were right in calling this EP a statement: Together, these six introductory songs prove enlightening and invigorating. They are a testament to the physical and emotional power of rock music, and an affirmation of its continued importance in the sonic landscape today. Experience the full record below, and peek inside The Pressure Kids’ self-titled EP with Atwood Magazine as the band provide go track-by-track through the music and lyrics of their debut! Nashville is a town with a lot of bands. People around here sometimes attend multiple shows a night, which can lead to some serious show-fatigue. You sort of have to do things to stick out, to be memorable. Our first few years as a band, we did this by playing loud. Very loud. Screaming in people’s faces. Bashing each other on stage. We’ve since been able to pare things down, to indulge our more melodic, atmospheric and tender impulses. “Team” is a distilled homage to our heavy, gut-punching rock and roll early selves. We wanted to can that energy into a tightly wound pop-rock tune. “Team” is our anthem for the might-have been. This song is a basement jam that became another cornerstone of this project. It’s our tale of romance, deceit, and revenge. Allan the alchemist whisked that riff out of thin air (as he tends to do) and everyone immediately knew what they needed to do, layering on squalls of guitars, that hypnotic drum beat. The verse is framed by the chorus of “it’s all right now,” which, as the song progresses, becomes an admission, a sigh, and a relent. It is all happening right now. All of us together tangling up, unfurling. “And Another One” is a celebration of things getting messy. The structure of “Fever” is meant to be mimetic of the cyclical nature of romance and togetherness. The song ends in the same place it started. It’s about the clumsy and wonderful nature of navigating attraction, of coming over, of starting things over, of calling it off. Sonically, it became the road-map for our EP. It was this tender little tune that informed the way we approached the recording of this project. More than any other song in our catalogue, “Untitled” is our most well-worn; we’ve been playing this song for as long as we’ve been a band. One of the very first we wrote. It’s our favorite shirt. Over the past 5+ years of playing as a band, songs have come and gone, as there have been many songs that have served their purpose, lived, lusted, loved and flickered. “Untitled,” however, has stood the test of time. It has made its appearance on nearly every single setlist, through the empties, the basements, the parties, the sold-out sweaty rock clubs. If we were to (after a few adult beverages) collectively decide to get matching band tattoos, it would most likely read: “Any darkness that comes our way will surely be a gift to commemorate our stay.” It’s our theme-song of sorts, and it (still, sort of) doesn’t really have a name. Pick me up baby, I know you can. When picking songs for the new EP, we had a lot to choose from, and a lot of thought went in to picking a track-list that was a very diverse offering, highlighting as many angles of our band as possible in a really compact and fresh way. “White Room” played a significant role in that conversation. It’s very new and deals with some lyrical territory that was previously unexplored. It has sonic elements that are, for lack of a more eloquent description, more fun and sunshine-y. Like FM radio on the way to the beach. Something to crank up. Loud. We suggest you do that. We wanted to close the EP with something brand new that hinted at a direction change, that showed where we are going. It’s the newest of the bunch and features the undeniable Katy Carmichael on vocals. While working on this song, I really became interested in playing with words that could chameleon, that could shift their shade based on who was reading or writing them. This song is full of a lot of those moments, things that could inform different meanings of the song based on what the listener needs. The title is meant to suggest that sort of interchange. Something pristine, or something refreshing, or the color, or something unused, or the process of creating something, or all at once. In the same way that the title has multiple uses, the coda was intended to serve multiple purposes. To address a lover, an ex lover, a crowd, an unbeliever. It’s a declaration and an invitation to stick around. We hope you do.